Before creating a publication it’s essential to research and understand the various output formats and tools available. There are many options out there and you should take time to consider which publishing format best fits your needs. Prior to creating a publication, there are many things to consider such as what platform your publication will be viewed on, what will be the focus of the content, the design and advertising strategies. Once you have come to a decision, you can then determine which tools are best for your publication. Today’s generation of readers are more comfortable with digital formats and publishers are continuously searching for the right electronic content delivery to address these needs. Choosing the correct format is key. Each publishing format has its own characteristics and distinguishing features aimed at enhancing the readers experience. In this blog, we’ll focus on two key publishing formats, Digital Magazines and EPUBs, concentrating on the advantages and disadvantages of each. We’ll also look briefly at other available publishing formats that are popular amongst today’s audience. 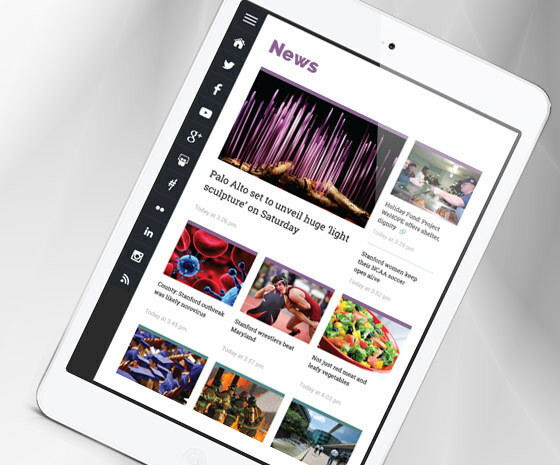 Digital magazine publications are renowned for their interactivity and display of rich media. When building an online magazine, you are likely to use features that enrich the user’s experience such as video, audio, weblinks and social plugins. Such features mixed with the attractive designing options, multiple layouts and easy to use software make this digital publishing format extremely popular. Let’s look at some of the advantages and disadvantages of choosing this publishing format. Interactive: You have a range of interactive features to choose from to create a truly engaging experience for your readers. Low Cost: The costs are relatively low compared to printed magazines. One of these being transportation costs. Reach: With an online magazine, you can reach readers all over the world. Your readers will remain loyal as they can change location and still receive your content via your digital edition. Dynamic: Digital magazines are extremely dynamic. They can be read on tablets and mobile devices anywhere and anytime. Readers can access the information without delays. Unsold Stock: There are no fears of having unsold stock like that of printed newspapers and magazines. Environmentally Friendly: With digital magazines, there’s no need for paper or ink. Revenue: They open new sustainable revenue channels through advertising and ecommerce. Digital magazines can sometimes be harder to read than printed magazines as the reader must be able to zoom in and out. Again, this would depend on the chosen digital magazine software. Other issues some people may face is outdated software, poor internet connection and download speeds. With a physical magazine or newspaper, you needn’t worry about it running out of power. The electronic publication format (EPUB) is one of the most widely known file formats for e-books on the market. You could view an EPUB as being similar to a website as it is largely based on HTML. It’s seen as the industry standard and can be used by anyone, including global giants such as Apple, Kobo and Google. EPUB is the XML format for reflowable books developed for digital publishing. EPUB format gives the user reflowable text. Reflowable text automatically changes to the size of the screen and the size of the text, similar to that of a website. With this, EPUB offers a great reading experience on both mobile and on ebook devices. 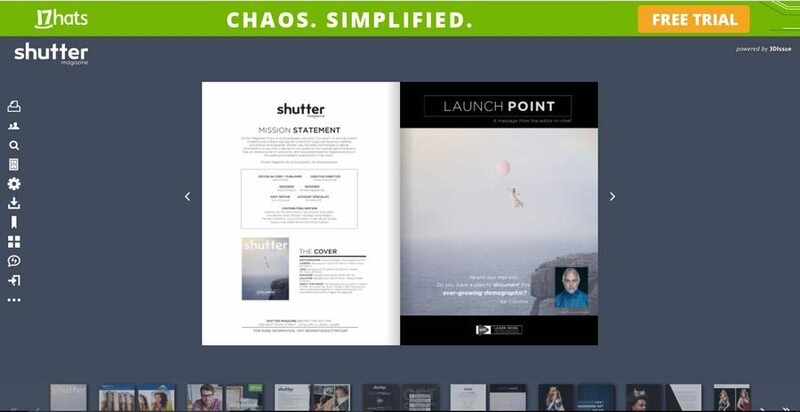 With an EPUB publication will you not find the same level of interactivity as in a digital magazine. EPUB publications can be viewed offline and the file format is used by many apps including the iBooks App on the ipad and iPhone. Industry Standard: With the growth of ebooks came the charge by many companies to introduce their own eBook readers. However, the majority of these don’t reach industry standard which stands to EPUB being seen as the uniform standard in the industry, with the format used in a range of devices. Open Format: As mentioned previously, EPUB can used by anyone. 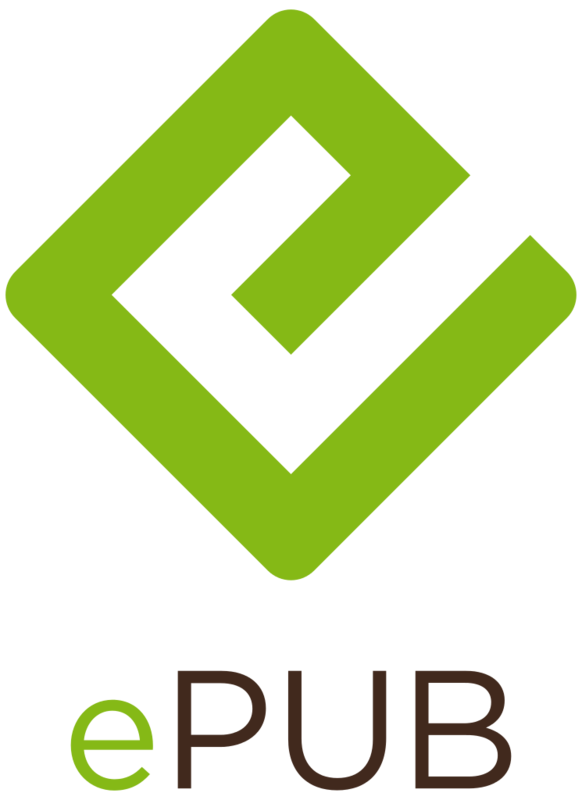 The open format of EPUB was one of the reasons for its initial growth. Independent: EPUB is not controlled by a large corporation. Reflowable text: This fantastic feature allows the books to reflow the size of the screen. Compatible: EPUB has two languages XHTML and XML; this allows it to be used with a range of software. It is also delivered as one zipped file. One of the disadvantages of using EPUB is that it demands some publishing knowledge. Users will need to be quite familiar with the syntax of XML and XHTML. There are also some rather precise requirements for creating the zip archive for EPUB. With EPUB, it’s also necessary for you to know how to create a style sheet. Generally, with EPUB you will at least need the basics of these languages if you wish to build valid files. Creating the zip archive for publishing is also difficult. Enable your audience to access all your content in one place through a content hub. You can gather news from blogs, Facebook, Twitter, Youtube and more. By publishing your content to a hub, it can be easy dispersed to a wide audience featuring your social activity, flipbooks, rss feeds. There is no need to maintain your Hub, the Hub updates automatically as content is added to your online sources. Hubs optimizes your content to suit whatever device your reader chooses, ensuring maximum exposure. Another option could be to publish your digital editions to an App and add all your existing online content sources also. Your auto-updating app can truly be an easy to use revolutionary publishing platform with no coding required. 3D Issue Apps is an online platform that enable anyone to create and publish their own native Apps for any iPad, I Phone or Android device. The right digital format for your publication is the one that satisfies your objectives. Be careful not to rush on with your valuable time and resources, instead take the necessary time to research the options available, test and analyse. 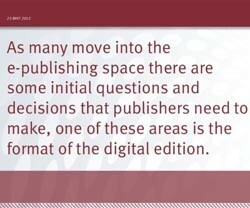 As there are many formats available, it can be difficult to identify which one is best for your publication. However, don’t panic as we at 3D Issue are here to help! We offer a range of digital publishing formats from online magazines to content hubs, apps and more. You can try out our flipbook software by signing up for the free trial.